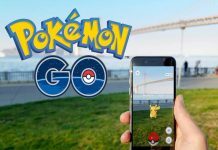 News Games Pokémon GO: Is This the Hardest Pokémon to Catch in the Game? 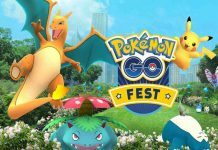 Pokémon GO: Is This the Hardest Pokémon to Catch in the Game? So let’s say you’re having a walk about the neighbourhood, or perhaps a jaunt through the park, playing Pokémon GO when you come across the vaguely alien-like psychic Pokémon Abra. You decide to catch it, but instead of catching it in your PokéBall, you end up with absolutely nothing – and the Pokémon is gone. Welcome to the slippery, maddeningly elusive world of Abra, the Pokémon that loves to teleport. Much like in the regular Pokémon games, Abra in this game is able to sense danger and teleport out and away from the battle once he has detected you. This specifically happens if you miss your first throw, or don’t have a PokéBall strong enough to catch it (via Twinfinite). It doesn’t help that Abra is a rare Pokémon to find in the first place. If you’re going to catch him, you’ll have to be especially dexterous. Like in the regular games, Abra evolves into Kadabra. It is unknown to me, however, if the game also features Kadabra’s evolution, Alakazam. In the regular games, Kadabra evolves into Alakazam when traded. 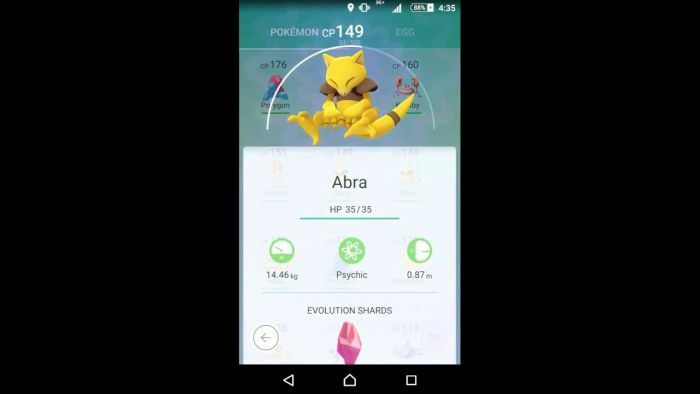 Abra and its evolution Kadabra might be some of the most iconic of psychic Pokémon in the Pokédex, beaten only be maybe Mew and Mewtwo. Psychic Pokemon are very hard to find and catch, but that’s what makes it more exciting. With their special capabilities, these psychic Pokemon can help you win battles easily. So when you find an Abra or Mew next time, make sure you have strong Pokeballs. Have you managed to catch an Abra? Let us know in the comments below. 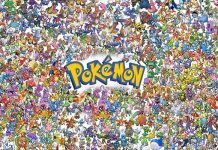 Meanwhile, also check out our list of 10 rare Pokemon that are the hardest to find. In other news, Abra may be a very rare Pokemon, but an evolution of Eevee is enough to spark a stampede in New York City. It has been reported that a huge crowd rushed into the Central Park area of the city to catch a Vaporeon that had been spotted by a player. People even got out of their car without turning off the engine just to catch the rare Pokemon. Considering the fact that you cannot choose which Pokemon Eevee will evolve into, it’s a big deal to get a Vaporeon. 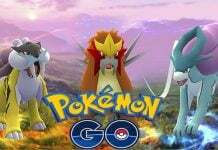 Previous articlePokémon GO: Where to Find Legendaries Mewtwo, Articuno, Zapdos and Moltres?